According to a notice published by China's Ministry of Industry and Information Technology, the government has launched a 14-month campaign to crack down on 'unauthorized' Internet platforms. That includes censorship-busting VPN services, which will require government pre-approval to exist. While the Internet is considered by many to be the greatest invention of modern time, to others it presents a disruptive influence that needs to be controlled. Among developed nations nowhere is this more obvious than in China, where the government seeks to limit what citizens can experience online. 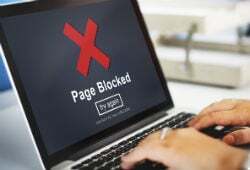 Using technology such as filters and an army of personnel, people are routinely barred from visiting certain websites and engaging in activity deemed as undermining the state. Of course, a cat-and-mouse game is continuously underway, with citizens regularly trying to punch through the country’s so-called ‘Great Firewall’ using various techniques, services, and encryption technologies. Now, however, even that is under threat. In an announcement yesterday from China’s Ministry of Industry and Information Technology, the government explained that due to Internet technologies and services expanding in a “disorderly” fashion, regulation is needed to restore order. “In recent years, as advances in information technology networks, cloud computing, big data and other applications have flourished, China’s Internet network access services market is facing many development opportunities. However, signs of disorderly development show the urgent need for regulation norms,” MIIT said. In order to “standardize” the market and “strengthen network information security management,” the government says it is embarking on a “nationwide Internet network access services clean-up.” It will begin immediately and continue until March 31, 2018, with several aims. All Internet services such as data centers, ISPs, CDNs and much-valued censorship-busting VPNs, will need to have pre-approval from the government to operate. Operating such a service without a corresponding telecommunications business license will constitute an offense. “Internet data centers, ISP and CDN enterprises shall not privately build communication transmission facilities, and shall not use the network infrastructure and IP addresses, bandwidth and other network access resources…without the corresponding telecommunications business license,” the notice reads. It will also be an offense to possess a business license but then operate outside its scope, such as by exceeding its regional boundaries or by operating other Internet services not permitted by the license. Internet entities are also forbidden to sub-lease to other unlicensed entities. “Without the approval of the telecommunications administrations, entities can not create their own or leased line (including a Virtual Private Network) and other channels to carry out cross-border business activities,” it reads. The notice, published yesterday, renders most VPN providers in China illegal, SCMP reports. Only time will tell what effect the ban will have in the real world, but in the short-term there is bound to be some disruption as entities seek to license their services or scurry away underground. As always, however, the Internet will perceive censorship as damage, and it’s inevitable that the most determined of netizens will find a way to access content outside China (such as Google, Facebook, YouTube and Twitter), no matter how strict the rules.